Regardless of where and when you’re moving, you’ll have several tasks on your plate. You’ll have to accomplish tasks just to make sure that your move will be as smooth as possible. These tasks can be time-consuming and daunting especially if you’re working full-time or need to look after your children. 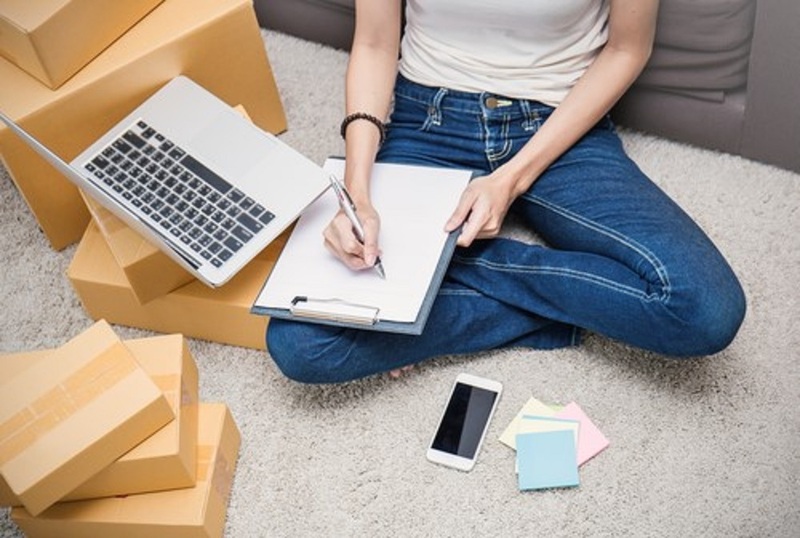 Although all of the tasks before, during and after the move are important, securing all of your belongings in a long distance move is probably one of the most crucial. You might need to pack all of these, scout, for a secured moving company to help you out and pay attention as to how they handle your belongings during transport. You want all of your belongings to be in good condition once these arrive in the new location, right? 1. Take an inventory: Sure, you might be the one who purchased all of your belongings, but this doesn’t mean that you can memorize each of these. This is especially true when you’re moving your belongings away from their original display cases. And when these are being transported to different moving trucks, monitoring all of your belongings can become harder. The solution? Take an inventory and if possible, with pictures. Make sure that these pictures show the intricate details of your belongings (if available) in order to become proof whenever something is missing, broken or damaged. 2. Store in a safety deposit box: If you have belongings which you won’t urgently use the moment you arrive in the new location, consider using a safety deposit box. Important documents, jewelry, and family heirlooms can be kept in a safety deposit box. With the number of variables you can choose from, you’ll be able to easily store all of your belongings regardless of the size and weight. 3. Store with friends and relatives: While there are several homeowners who would entrust a moving company with their belongings, there are others who will rather leave theirs to a friend or relative for safekeeping. If you’re planning to take the latter option, discuss with your friend or relative about your plans and ask for their consent. If your valuables require certain maintenance, let them know ahead of time, too. This option is relatively cheaper compared to having professionals do it for you. 4. Fill out declaration forms: But if you’re already convinced to hire professional movers to transport all of your belongings, always look for their declaration forms. These document will warrant that the moving company recognized all of your belongings and they’re required to act accordingly. During this process, take time to understand all of the clauses of the document and ask questions whenever certain items are vague to you. Never sign anything which you’re unsure of as this can do more harm than good. 5. Hiding places: Not everyone involved during the move should know the belongings you’re bringing. If you’re transporting expensive pieces of jewelry, having this information leaked to the neighborhood can put your safety on the line. You can avoid experiencing this by creating hiding places in bigger storage boxes or containers. For example, if you’re using your luggage as a moving box for linens and towel, insert some of your jewelry in between. Not only will the softness of the linens and towel keep your jewelry free from scratches, but this can also mislead thieves. 6. Stay off social media: Posting selfies with just about anything you can get your hands on is a “thing” in social media. The weirder the items you pose with, the more comments and likes your pictures can earn. However, showing off any of your expensive belongings through social media is a big no-no. Doing this is like advertising yourself to become the next thief victim. And when thieves know that you’re actually moving, stealing from you will become a breeze. They’d know what to look for, and because you’re too occupied supervising the move, you won’t have the time and energy to look out for these thieves. Securing all of your valuables can be a very complicated process especially if you own a lot. You’ll have a hard time keeping track of where and how your belongings are handled during the move. As a result, your valuables can get damaged or broken. Along with the tips from this article, scout for movers in your area which are known for their efficiency in handling their customers’ belongings. If you’re eyeing to move to New York, look for movers in NYC was this kind of service, compare your options and hire one who provides quality service at a reasonable price point.